First came the internet, then came broadband and now the latest threat and challenge to the news industry is near universal use of smartphones. Like it or not, mobile is where the readers are going. But if display advertising is tough to sell on computer screens – it is even harder to to do so on phones. To discuss how the journalism industry can adopt to this latest phase of technological disruption Press Gazette is holding a half-day conference on 16 October in Association with News UK – News on the Move III: Going mobile (buy tickets). It builds on the success of News on the Move I (held at Thomson Reuters) and News on the Move II (at Google, video below). 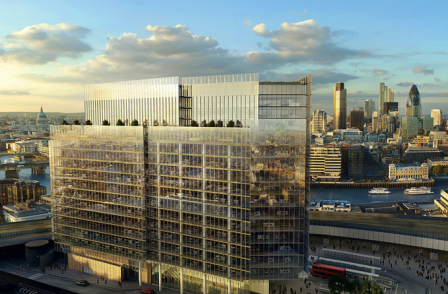 And it will be held at News UK's brand new headquarters opposite London Bridge station. By the end of this year it is estimated that around 75 per cent of Britons will own a smartphone – up from 1.6 per cent a decade ago. This has fuelled an explosion in consumption of digital news. For example, since Metro redesigned and relaunched its website as “mobile first” in December 2012 its growth has been off the scale – running at more than 200 per cent year on year in recent months according to ABC. The challenge this presents is illustrated by the fact that earlier this year Metro announced it was going “print first” and merging its website with that of Mail Online. Executives decided that they wanted to encourage readers of the free daily to stick with print where advertising attracts the biggest premium. Metro’s dilemma neatly illustrates the challenge for the wider industry. Readers are flooding from desktop to mobile creating the same problem that we faced when they started fleeing print for online. Data from the Reuters Digital News Report 2014 illustrates the speed of this new digital revolution. 16 per cent said tablet (up 11 per cent). 23 per cent use tablet computers to access news on a weekly basis (up from 16 per cent). And how to make journalism pay on mobiles and tablets. News on the Move takes place at The News Building, News UK, 1 London Bridge Street, SE1 9GF from 2-5.30pm on Thursday 16 October. Registration over lunch from 1-2pm. Networking drinks from 5.30-7pm. Tickets are £50 plus VAT and available now. Those wishing to attend from companies who provide commercial services to the publishing industry should speak to Rahul Nair about sponsorship opportunities: rahul.nair@pressgazette.co.uk – 0203 096 2261. Mike Darcey has been chief executive of News UK since January 2013 and is a former chief operating officer of BSkyB. Nic Newman – Editor of Reuters Institute Digital Report, research fellow at City University, former Controller Future Media at the BBC. 5.20pm – Closing remarks from Press Gazette editor Dominic Ponsford. Why invest in a news app when readers would rather visit a mobile-friendly website?